Miwa Susuda is Photobook Consultant at Dashwood Books, New York. She is Director of Session Press, introducing new work by contemporary Japanese and Chinese artists. Co-published with Dashwood Books, Susuda released a photo book about Nobuyoshi Araki’s live slide performance, Blue Period/Last Summer: Arakinema in Dec 217. Lectured “Japanese Photography Book” with Olga Yatskevich at Visual Studies Workshop in NY and conducted an artist talk for “New Material” exhibition with 8 contemporary Japanese photographers at Casemore Kirkeby in SF in 2016. 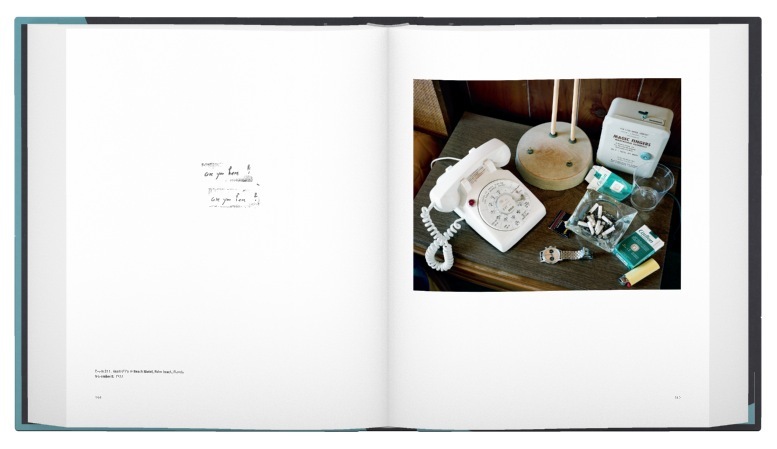 As a contributing writer to Fraction Magazine Japan and diaSTANDARD, she interviewed Alec Soth, Mitch Epstein, Jim Goldberg, Jason Nocito, Michael Schmelling, Nick Waplington and Andreas Laszlo Konrath. Her writing includes “Photography and Language” for 10 x 10 American Photobook catalogue, “On Daido” for the exhibition catalogue for the 6th International Fotobookfestival in Kassel, Germany and “Ryan McGinley” and “Photojournalism and Photobook” in IMA Magazine, among many others. She is also a New York reporter for IMA Magazine, JP_EN 02 Special Judge for Einstein Studio in Tokyo and nominator for MACK First Book Prize. By Stephen Shore. Aperture, 2017. Leslie Martin conceived this brilliant book project with Shore, inviting 15 renowned international curators, writers, photographers and cultural figures to reflect on the impact of his seminal work by discussing their favorite images. Because of this publication, I am able to rediscover Shore’s rare viewpoints of the American landscape with fresh eyes. I can’t help thinking we should do the same for other famous photographers like Eggleston, Frank, or Arbus. 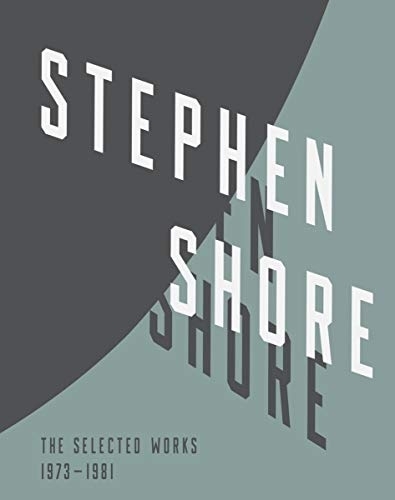 This publication succeeds in showing Shore's open madness to his subject, and welcomes the viewers to find personal associations with his work in their own unique ways. Recently I had a chance to talk with Peter Kayafas, who had a public conversation/lecture with Shore at Aperture earlier this year, and we both agreed that there is no right or wrong answer, and all perspectives and appreciations have equal validity. Stephen Shore: Selected Works, 1973-1981 By Stephen Shore. Aperture, 2017. By Helen Levitt. Walther König, 2017. Some of my favorite subjects in photography are subway scenes. Many master photographers did projects involving the platforms, stations, and riders, including Nan Goldin, Nobuyoshi Araki, Daido Moriyama, and Bruce Davidson, with one of the earliest being Levitt’s teacher, Walker Evans. It is interesting (and of course evident) to note that none of the works by these masters look the same. I have a special appreciation for Levitt's pictures since they reveal her warm empathy and compassion for the people she chose as subjects. Levitt had a pure talent for imagination, and I truly admire what she perceived in the world around her. We live in the information driven digital age and we should be wiser, more sympathetic and sensitive to the different others we meet, but I feel as if we are rather narrowed and closed minded for the sake of keeping our distance. It is not an easy job to feel and notice what the others are going through, but from Levitt’s work I feel inspired that we still have a chance to respect and connect to each other with a lot of love. 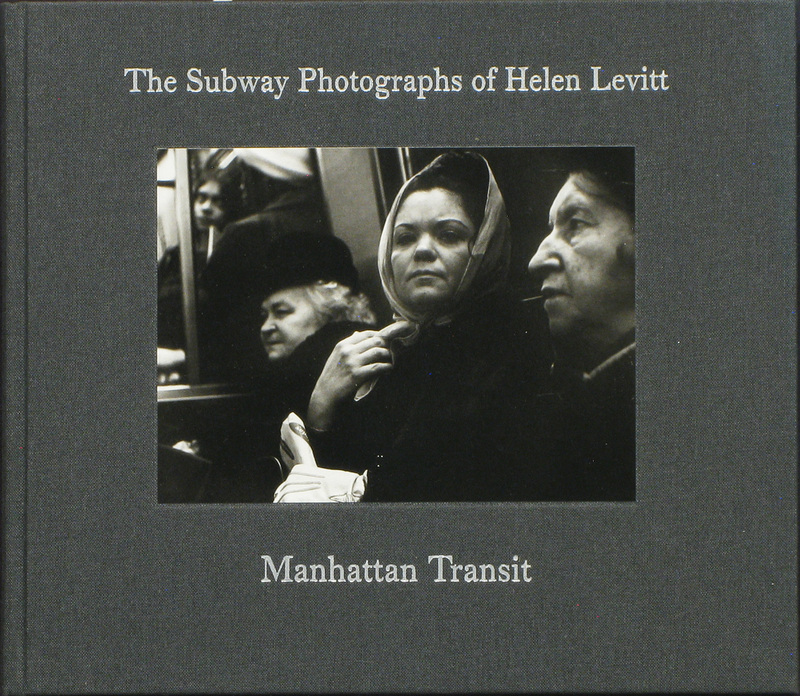 Manhattan Transit: The Subway Photographs of Helen Levitt By Helen Levitt. Walther König, 2017. It Don’t Mean a Thing By Saul Leiter. Saul Leiter’s photography has been full of the excitement and joy he encountered in every corner of the world that he found in front of his camera. I always compare his work with Impressionist painter’s work like, Édouard Manet’s The Railway (1873), or A Bar at the Folies-Bergère (Un Bar aux Folies-Bergère) (1882). Just like other artists around the turn of the century, Leiter marvels at the beauty of the city, and I can feel his happy heart beating in his photos. 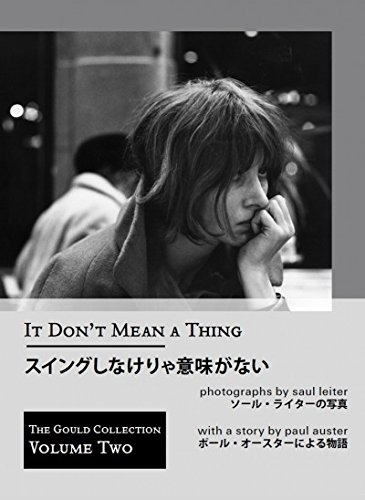 In addition to being thoughtfully introduced by Paul Auster’s story, this publication provides Leiter’s photography with film-book type fun quality originally developed in books like Ed van der Elsken’s Love on the Left Bank and Kanendo Watanabe’s Kishi no Machi / A Town Already Seen. 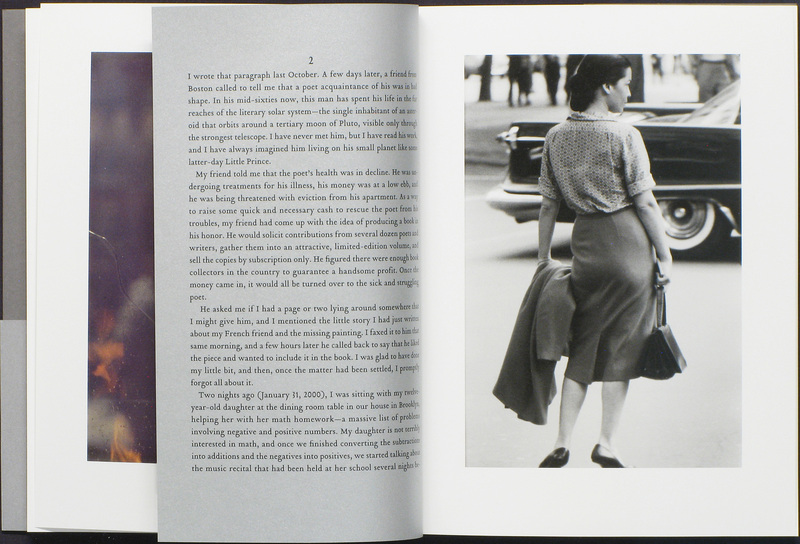 Over half the images have never been published before, so it is one of the best gifts you can give this holiday season, even for someone already familiar with Leiter’s work. It Don’t Mean a Thing By Saul Leiter. The Gould Collection, 2017.